The Kawa line employs an unique slip-molding technique that uses bands of variously shaped leather as reusable and reconfigurable molds. The result: one-of-a-kind pendants that evoke the beauty and intricacy of origami. 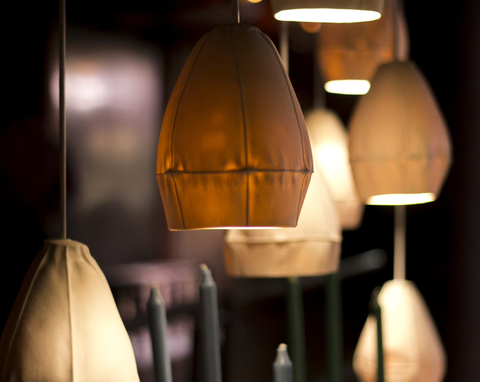 The pendants can be hung individually or clustered in groups to create larger light forms.